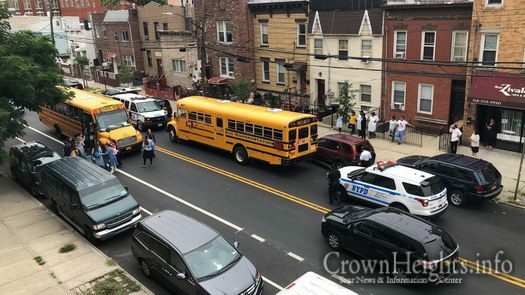 A school bus carrying girls from the Beis Rivka Day Camp was involved a crash with a number of parked cars on East New York Avenue. Witnesses said the bus went the wrong way on Kingston Avenue shortly before the crash. 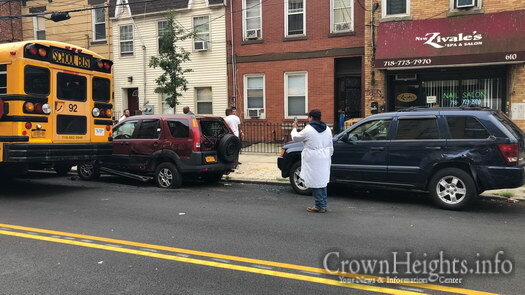 Campers in Beis Rivka Day Camp were thankfully uninjured after the bus they were traveling in crashed into a number of parked cars on East New York Avenue on Monday afternoon. 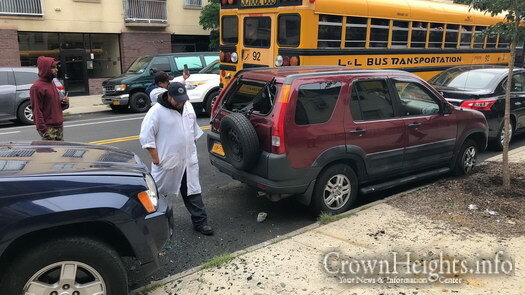 The campers were on their way to a trip when the bus driver, working for L and L Bus Transportation, crashed into a number of parked cars just off Kingston Avenue. Witnesses said that the bus had been traveling the wrong way down the avenue just before the crash. 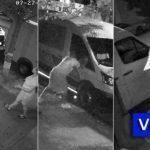 Surveillance video reviewed by CrownHeights.info showed the bus making a right turn from Lefferts Avenue onto Kingston shortly before making a left turn onto East New York and subsequently crashing into a number of parked cars. Police and medical personal responded and checked out the passengers, none of whom appeared to have been injured, and were later switched to another bus to continue the trip. School sources said that during the summer months the day camp regularly hires outside bus companies to take the campers on trips. I’m not a Rav, but advertising the name of the bus company can be conceived loshon hora if it happened to be owned by a Frum person. logic would suggest that by you posting this comment YOU are the purveyor of said loshon horo. besides, a story about a mistake which endangered the lives of many children would never fall under the category of loshon horo. However since it’s owned by a goy it’s not considered loshon hara? Oh, you’re not a rov?!? Stick to your day job. If that bus was carrying YOUR child, would you be so worried about LH? Or would you want the driver arrested & the bus company held accountable? IDIOT. Unfortunately as a whole bus drivers are the most arrogant drivers and this also includes city bus drivers worldwide. In Brooklyn the school bus drivers (not all) are usually very wild and don’t seem to care that they are driving children – our greatest treasure. 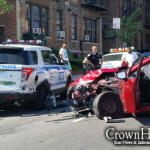 Again not all drivers but many. 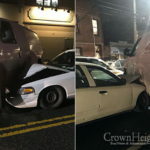 As far as loshon hara – Someone who is dangerous to himself, other drivers and his passengers it is a mitzva to publicize so that he be stopped. He may even be considered a rodaif.